We are excited to offer this 2017 BMW X3. Drive home in your new pre-owned vehicle with the knowledge you're fully backed by the CARFAX Buyback Guarantee. Do so much more with one vehicle. This BMW X3 gives you everything you need an automobile to be. Today's luxury vehicle is not just about opulence. It's about a perfect balance of performance, comfort and attention to detail. 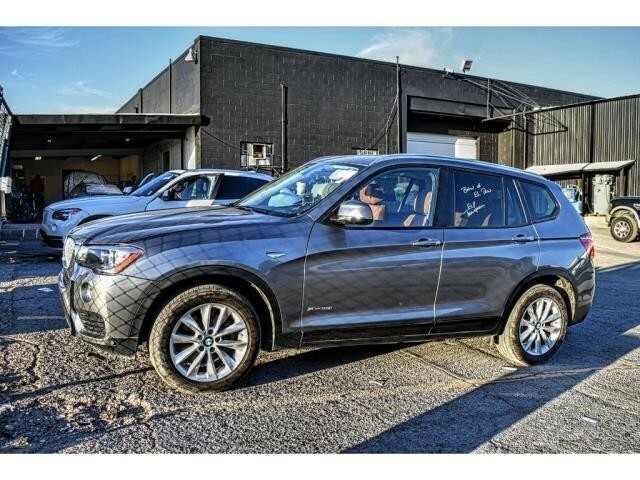 This 2017 BMW X3 is the perfect example of the modern luxury. This AWD-equipped vehicle handles well in any weather condition or terrain. You'll benefit from superb handling, improved steering and excellent acceleration. More information about the 2017 BMW X3: The X3 is one of the quickest and most nimble-handling of the compact luxury-brand crossovers; yet it's also one of the most fuel-efficient in 4-cylinder xDrive28i form. The sensible, yet stylish cabin strikes a great balance between plush comfort and practical family sensibilities, and it has one of the more comfortable back seats in its class; while the number of useful high-tech features and driver aids is impressive. Strengths of this model include long list of technology features and upgrades, Quick and nimble, fuel-efficient compared to other crossovers, and comfortable, well-appointed cabin We look forward to seeing you soon! Please call us for more information.